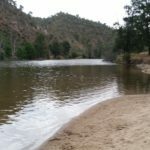 Murrumbidgee River Discovery Track. One of the best bushwalks to do in the ACT. Distance: 3 to 27km one way. 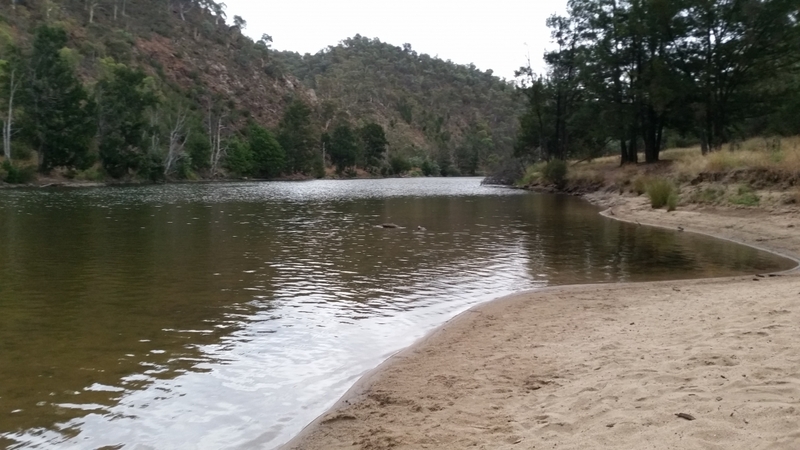 The Murrumbidgee Discovery Track stretches along the Murrumbidgee river for 27km. You are spoiled for choices on this bushwalk and I had no hesitation rating it 5 stars. If your going with some friends it’s a good idea to do a car shuffle so you can do as much of the Murrumbidgee discovery track as possible and avoid an out and back trek. 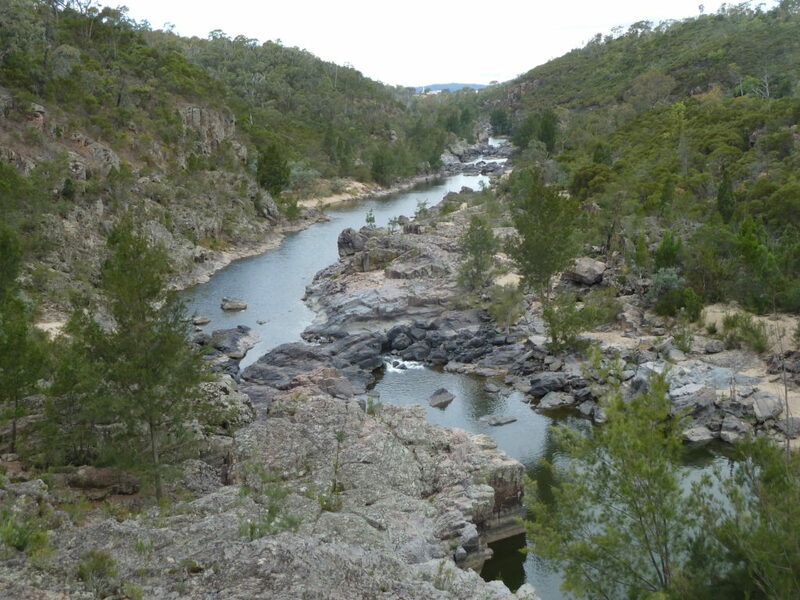 Recommended Sections of the Murrumbidgee River. The kambah Pools to Pine Island section of the this track is sensational. Along this section your in for a 8km walk one way. The first part of the track also doubles up for a tiny section of the 145km Canberra Centennial Trail. You’ll work your way through some forest then come across amazing views of the Murrumbidgee River. After about 2-3 km’s into the bushwalk there is a lookout over looking Red Rock Gorge. This part of the river is fantastic with the gorge outlook, cascading water and very cool rock formations. You wont be disappoint doing a return trip from Kambah Pool to the Red Gorge Lookout. Going further on there is a dry stone wall from the past, more great view of the river until you hit Pine Island. Pine Island is a great place for a swim and explore the surroundings. Casuarina Sands to kambah Pool is approximately 14km one way and would be rated hard. Definitely a good idea to do a car shuffle for this section of the Murrumbidgee river. This section of the walk offer amazing view of the River and country side. This is another excellent section of the track offering great views of the Murrumbidgee River. You can’t go too wrong with any bushwalk you decide to do along the Murrumbidgee discover track. It’s all good. Directions to Murrumbidgee Discovery Track. Google Map Link. Start from the Casuarina Sands car park for the Casuarina Sands to Kambah Pool bushwalk. Google Map Link. Start from Kambah Pool reserve for the bushwalk between kambah Pool and Pine Island. Google Map Link. Pine Island trail head. Murrumbigee Discovery Trail bushwalk Map. Distance: 3 - 27km one way. Loved this hike. Your da man. Murrumbidgee Discovery Track Photo Gallery. Murrumbidgee Discovery Track youtube clip.